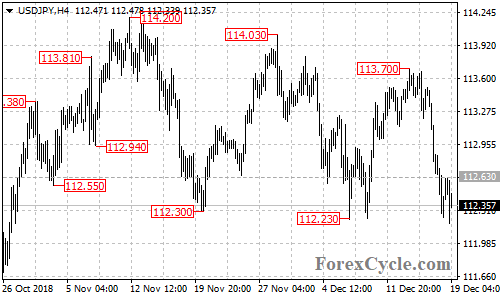 USDJPY broke below 112.23 support. Further decline is still possible and next target would be at 111.50 area. Near term resistance is at 112.63, a break of this level would indicate that the short term downtrend from 113.70 is complete, then another rise towards 113.50 could be seen.